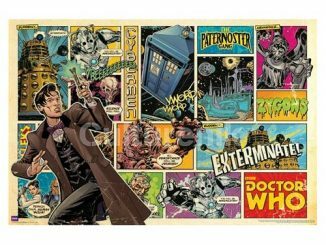 All of time and space, along with a few Whovian baddies, are on these Doctor Who Comic Strip Leggings. The TARDIS travels through time and space, the timey-wimey detector goes ding when there’s stuff, and these leggings… well, these leggings don’t really do anything except look awesome, but that’s okay because looking awesome is pretty cool. 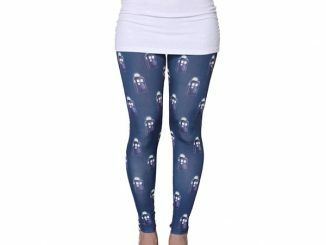 Made of 83% Polyester and 17% Elastane, these leggings feature an all-over print of comic book panels from the Doctor Who universe, featuring Weeping Angels, Cybermen, Daleks, and the TARDIS. 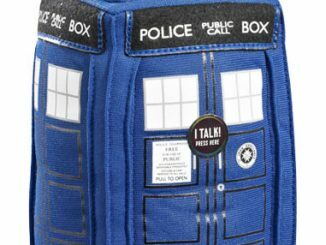 The Doctor Who Comic Strip Leggings are available for $60.97 at Black Milk.